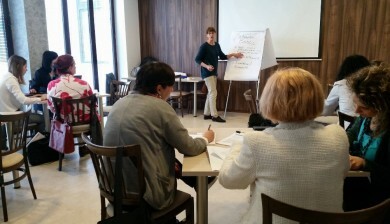 Duration: 01/07/2016 - 31/03/2018 Source of funding: Civica Mobilitas, Swiss Agency for Development and Cooperation project that is implemented by NIRAS from Denmarк, the Macedonian Center for International Cooperation (MCIC) and the Swedish Institute for Public Administration (SIPU) (www.civicamobilitas.mk) Overall Objective: Advancement of gender equality issues in the program planning and budgeting at the local level. Expected Results: Strengthened knowledge and skills of women’s NGOs for monitoring and advocating the specific needs of women in the budgeting processes of the local self-government (LSG); Gathered relevant data on the priority needs identified by women in the local communities and their treatment in the budgeting processes; Promoted relevance of the issue of gender equality in the managing of public finances among women from the community, local activists, and local authorities. Duration: 24/11/2014 - 24/11/2016 Source of funding: European Union IPA Cross Border with Kosovo (www.eeas.europa.eu/csdp/missions-and-operations/proxima-fyrom/index_en.htm) Objectives: To establish a cross-border network of women organizations active in gender mainstreaming at local and regional level. 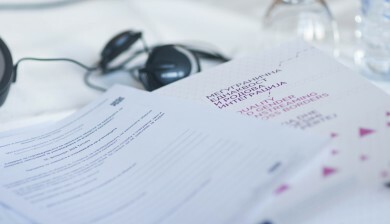 Specific objectives of the action include: Empower local NGOs to forward the gender mainstreaming agenda; Raise organizational capacities of local women organizations in the project covered area; Technical assistance in exercising watchdog functions; Improve local and national media coverage of women-related topics. 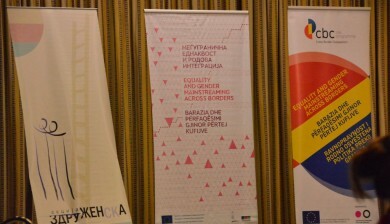 Expected Results: Raised capacities of women organizations in the project area; Improved quality of data and effective dissemination of the same; Facilitated exchange of experiences and networking across borders to addressing common concerns; Produced practical tools for day-to-day operations such as the manual on gender policies at EU level and utilized at both central and local advocacy initiatives. 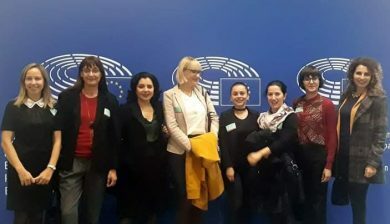 In the long run, the action is expected to strengthen the women rights agenda both in Kosovo and Macedonia and reduce capacity differences between centred and periphery organizations. I did everything Fred did, only backwards and in high heels.